My recent critical take on the marketing technology (martech) landscape was an attempt to make sense of an overcrowded space — one that’s confusing to buyers and bewildering to observers. Truth be told, I compared it with the Cheesecake Factory (both present seemingly endless choices—of which most are just high in fat and low on nutrition). But an upcoming milestone serves as a great reminder that sometimes it’s difficult to see the forest for the trees. That milestone is Canada’s 150th birthday. So it feels appropriate to follow the good folks at Wriber and, at the risk of contradicting myself, celebrate the increasing number of Canadian players in martech. Of the 5,381 solutions presented in the Martech 5000 supergraphic, 285 of those, or 5%, are born and bred right here in Canada. For a country whose entire population is dwarfed by the number of people in the State of California alone, that’s something to brag about, eh?! Though in typical good Canadian fashion, we tend to be modest about our achievements. We can’t help being overshadowed by our neighbours to the south. But this occasion to celebrate the nation turning 150 years old is too good of an opportunity to toot our own horn, to be justly proud of our achievements as a country, and of our collective contributions to not only martech, but the world at large. Those who know me will tell you that I love analogies (and cheesecake). And one thing I’ve noticed is that Canada’s marketing technology landscape seems to follow, more or less, the growth pattern of a forest. It’s an appropriate metaphor. After all, Canada is home to more than 30% of the world’s boreal forests. We like our trees! Like shrubs, early players in the Canadian marketing landscape were typically hardy and slow growing. But over time, smaller seedlings grew among the shrubs, and soon the trees outgrew them, forming a young forest. The tallest trees in the forest are known as canopy trees. Canadian canopies are pretty rare entities. Eloqua is one homegrown example, founded right here in Toronto by entrepreneurs Mark Organ, Steve Woods, and Abe Wagner in 1999. Eloqua preceded other marketing automation players by several years. In August of 2012, Eloqua went public. Later that year, it was acquired by Oracle to become the centerpiece of the Oracle Marketing Cloud. Fredericton's homegrown social media monitoring platform, Radian6, followed a similar trajectory. Founded by Marcel Lebrun, Chris Newton, and Chris Ramsey in 2006, it was acquired by Salesforce in 2011. At the time, it was used by more than half of FORTUNE 100 companies. Today, it’s an important component of Salesforce’s Marketing Cloud. Since then, a number of Canadian martech companies have achieved significant market valuations and broken through the canopy to share in Eloqua’s rarified air. The hardiest among them sport names like Hootsuite, Shopify, and Slack. Naturally, these big trees generate a lot of excitement. However, like any forest, most industry growth is incubated under the canopy. That’s where the action happens, where more seeds are sown, and from where the next generation of the forest’s tallest members will emerge. Like a forest, the Canadian martech landscape is self-sustaining.Take for instance, another successful Toronto-based startup, Influitive. Mark Organ, one of Eloqua’s original founders, went on to create the advocate marketing platform in 2010. Seedlings like Influitive regenerate in the shade of the canopy, dropping new seeds, and eventually growing toward dominance. At this point, I can only speculate about the heights to which the Canadian martech landscape will grow, though I trust that we haven’t seen the last of Canada’s big trees! But what happens when members of old-growth forests reach the end of their lifespan? In a forest, fallen timber and decaying trees and can stimulate even greater productivity. Take, for instance, Waterloo’s Blackberry. As it transitioned from tech giant to a significantly smaller presence, it has disbursed talent and freed up capital, which has only served to benefit the region’s smaller entrepreneurs — among them, companies like Waterloo’s Vidyard. By focusing on the needs of their B2B customers and the potential of video, Vidyard founders Michael Litt and Devon Galloway extended the power of video and analytics to all aspects of marketing and sales, and are today helping enterprises drive revenue. The company started as a thesis project at the University of Waterloo, but proved successful enough to be picked up by Y Combinator, one of Silicon Valley’s most notable tech incubators. Vidyard is proof that, when the forest’s elders die, gaps in the canopy open up, providing enough light for seedlings to grow into future giants. Not all of Canada’s fastest-growing martech companies take root in the fertile soil of Ontario. A new report has moved BC up in the rankings as one of the world’s best places to start a tech business. Vancouver alone boasts between 800 and 1,100 startups. Take for instance Unbounce, which was founded by six entrepreneurs in 2009. It has since grown to a team of more than 170 people and $14 million in annual revenue, serving up landing pages to more than one billion visitors per year. Canada’s 150th birthday celebrations represent the best of our combined political, cultural, social, economic, and technological achievements. And, with Uberflip finding fertile ground in Canada, Yoav Schwartz and I are proud to contribute to the growth of not just the nation’s martech, but the global content marketing technology landscape, too. When people ask, “Where are the exciting growth stories in the content marketing technology space?” I want people to think of Canada. 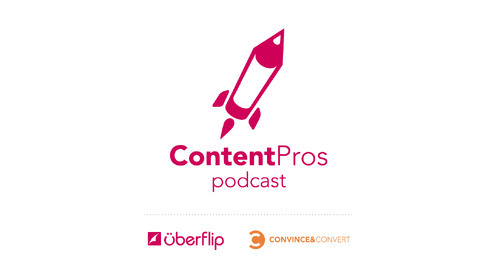 In Toronto and across the country, companies like Unbounce, Vidyard, and Uberflip, are making an impact in the industry, helping to advance the practice of content marketing and the technology that drives it. You can feel the momentum. And that’s why this August, in the midst of Canada’s year-long 150th anniversary celebrations, we’re hosting The Content Experience: an industry-led and content-driven celebration of content marketing at the heart of downtown Toronto. After all, content marketing’s roots are firmly planted in Canadian soil. The country has long been recognized as a cornerstone for innovations in media, technology, and communications. For two full days, we’re going to take over Toronto’s iconic Glenn Gould Studio with a lineup that includes some of content marketing’s shining stars — each bringing their own knowledge, skills, and expertise, with a focus on advancing the practice of marketing and improving the way that we experience content. Come and help us build on this momentum! In recognition of Canada’s birthday, we’re offering a $150 discount on conference passes (enter promo code: CANADA150). More information about the conference can be found here. Don't miss this chance to network with peers, learn from industry experts, party hard, and sow some seeds with the best minds in content marketing! Happy Birthday Canada. Here’s to another 150 years. May your trees stand tall!